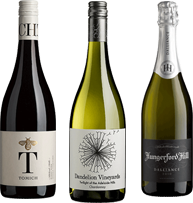 Three different ways to shop your favourite wines! 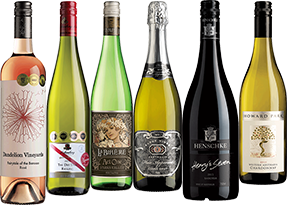 Explore Australian wine in all its diversity with the convenience of regularly delivered Cellar Door Releases including a great range of pre-selected or customised collections. Enjoy discovering new favourites with these exciting, value-packed and memorable collections curated by our expert Tasting Panel. Re-order an old favourite or find a new discovery with thousands of single wines to choose from. Plus buy 6 bottles and receive 10% off; buy 12 bottles and enjoy 15% off. We’ve been selecting wine for over 40 years and over 200,000 Australians trust us to uncover the most exciting wines from the most interesting wineries and winemakers. Our Panel tastes and rates thousands of wines using Australian Wine Show judging criteria. Only wines scoring Bronze or higher are selected, ensuring you receive only the very best quality. Australia’s most interesting wines are found at the cellar door, so that’s exactly where our Tasting Panel goes to give you direct access to over 500 wineries. Adam comes from a background of working with wine in bars, restaurants and hotels. He holds a WSET Diploma, is an aspiring wine judge and particularly enjoys Grenache and Italian varieties. Malbec has traditionally been a blending partner with Cabernet, but as this Gold medal-winning example shows, it is now emerging as a single varietal wine in its own right. It has softer tannins than Cabernet and a hint of spice like Shiraz.